CLEAN CARFAX,HARD-TOP CONVERTIBLE,NAV,NEW INSPECTION, HEATED LEATHER,HEATED LEATHER STEERING WHEEL W/STEREO CONTROLS,AM-FM-CD W/USB & AUX PLUGS,BLUETOOTH,DUAL FRT.PWR. 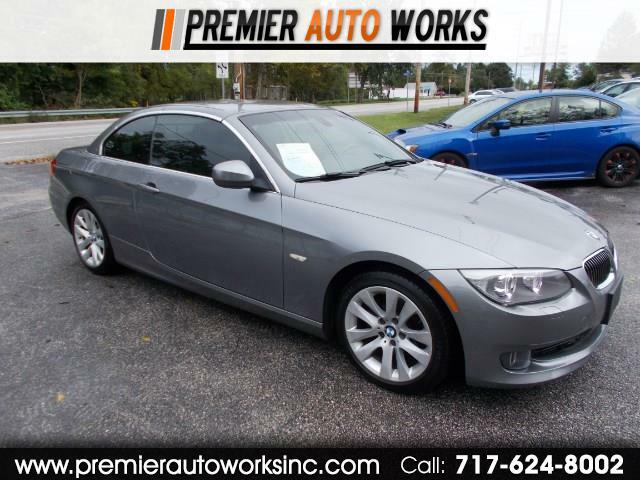 SEATS,DUAL CLIMATE,17'' ALLOYS,FLOOR MATS,KEYLESS W/PUSH-BUTTON START,TILT & TELESCOPING WHEEL,CRUISE,TINT, GREAT COND! CALL BOB OR JERRY 717-624-8002 EXT-1 **** NOTE,ALL INFO LISTED UNDER VEH.DESCRIPTION IS CORRECT*** INFO LISTED UNDER VEH. ''OPTIONS'' IS GENERIC & MAY NOT BE ACCURATE. Come see the best speciality inventory in New Oxford, PA. In To view more photo's please visit us at our website www.premierautoworksinc.com.